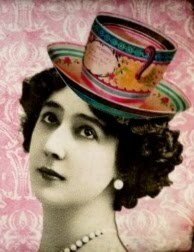 At the turn of the century, women wore little make-up in public, especially during the daytime. Pinching cheeks and biting lips was almost the only available option for a woman to add color to her face. During the “teens”, powder was the cosmetic of choice, and was fluffed all over the face with huge powder puffs. The fashion trends of “moving picture” stars persuaded women to tint cheeks and lips. Daring women began spreading petroleum jelly on their eyelids and wore cake mascara and rouge. Although eyeshadow was seldom used, lipstick was boldly worn by many. At first, metal compacts were ridiculed and nicknamed “trunks” because they were so large and cumbersome. The term “compact” was later introduced and started gaining interest during the late 1920’s. By the 1930’s the compacts was a very popular item. 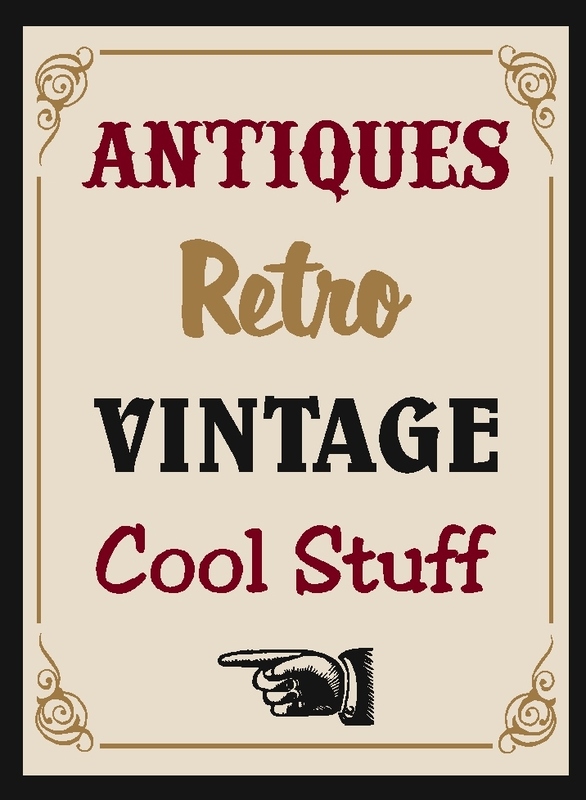 Most were inexpensive and could be purchased at the “five and dime” stores. The art of perfume began in ancient Mesopotamia and Egypt and as the art of perfumery progressed through the centuries, so did the art of the perfume bottle. Many times, perfume bottles were as elaborate and exotic as the fragrances they contained. The earliest bottles date back to about 1000 B.C. 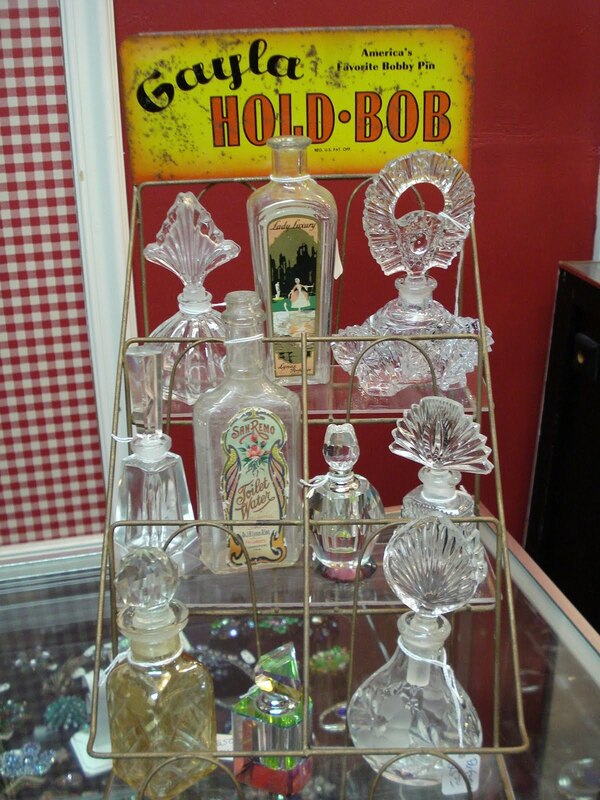 In ancient Egypt, newly invented glass bottles were made largely to hold perfumes. The crafting of perfume bottles spread into Europe and reached its peak in Venice in the 18th century, when glass containers assumed the shape of small animals or had pastoral scenes painted on them. Today perfume bottles are designed by the manufacturer to reflect the character of the fragrance inside, whether light and flowery or dark and musky. 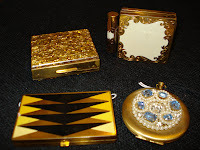 The reason I briefly mentioned this history is because I recently acquired a nice collection of compacts and perfume bottles which are available for sale at Vintage Gal Antiques! 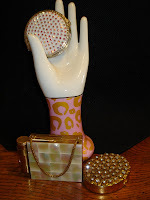 There are several compacts from the art deco period, as well as some great rhinestone-clad examples. 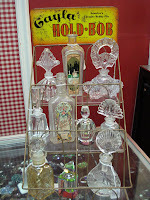 Most of the perfumes are cut glass with ornate glass stoppers. Soooo pretty!! Please stop by and check out the selection!